My first hands-on video. The Sony Ericsson xperia ray is on top of my "Next Phone" list. One of my primary concerns is the ability to use it with just one hand. I think it performs quite well, considering I'm right-handed. 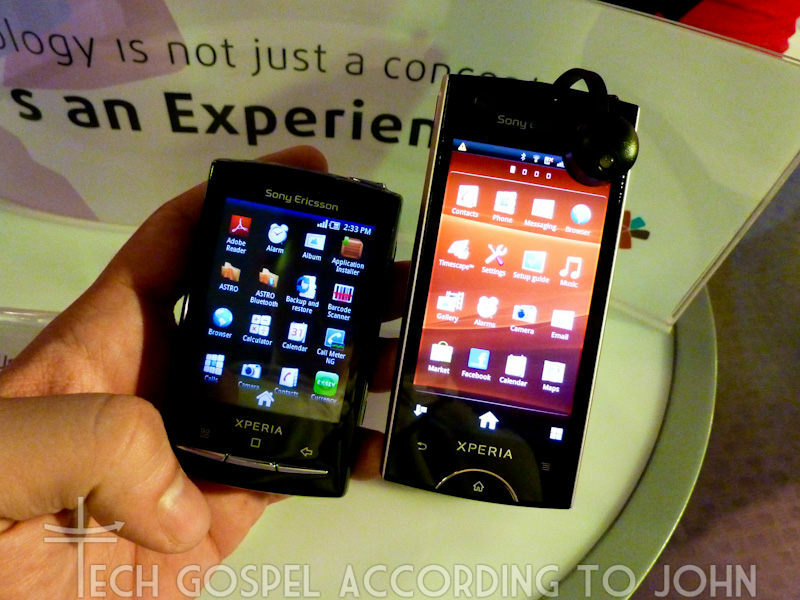 The screen is excellent, boasting an 854x480 resolution in only 3.3", gives the xperia ray 296ppi (pixels per inch) which is very close to the iPhone 4's 326ppi. The predictive input is quite responsive and easy to use for the most common functions. Multi-tap is also available for those that use shortcuts, and odd spelling.